What matters to Maine voters? ​This is a question I ask myself every day when I come to work at 9 Higgins Street. ​Do voters obsess over what’s trending on Twitter or do they expect their elected officials to work hard like they do? Do voters obsess over the latest gossip coming out of the swamp or do they want their elected officials to find ways to work together and make their lives betters and make our state more prosperous? I think you know the answer. It’s easy in a 24-7 instant gratification world to overlook the real solutions our Republican leaders are working on. 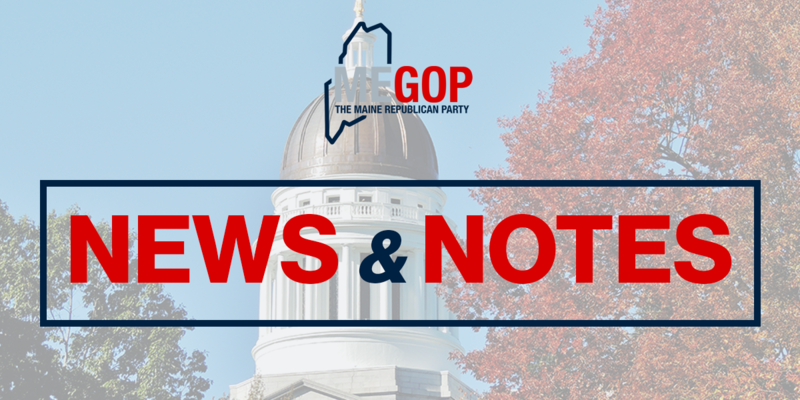 This week, Congressman Poliquin’s bill, Removing Outdated Restrictions to Allow for Job Growth Act (H.R. 1177) passed the House of Representatives with broad bi-partisan support (418-1 vote). I come back to the question I asked in the beginning: what matters to Maine voters? Again, I think we know the answer. Voters want results and they want their elected officials to work hard. ​Thankfully, Congressman Poliquin continues to focus his efforts and energies on making Maine’s 2nd Congressional District a better place to live, to work, and to call home. That’s what matters.